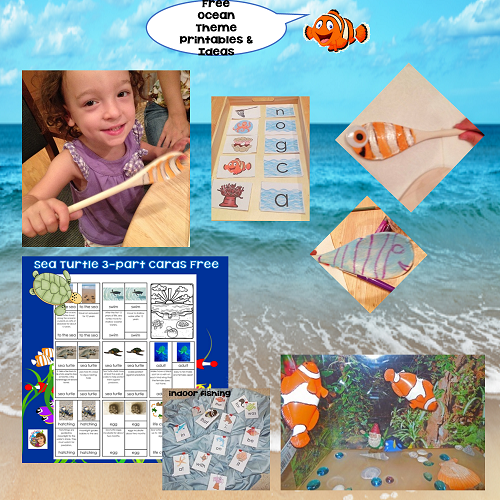 Here are links to our ocean theme learning and activities. 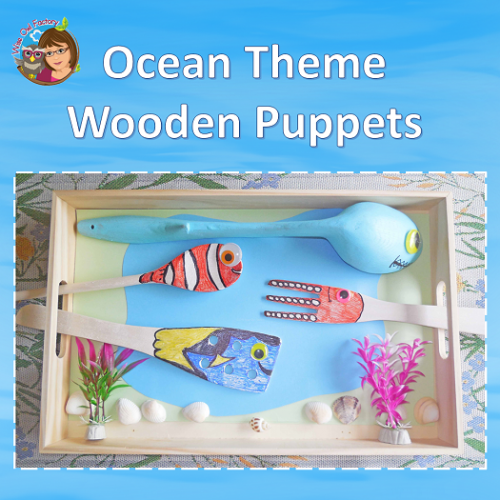 This is a round up of the ocean theme posts. 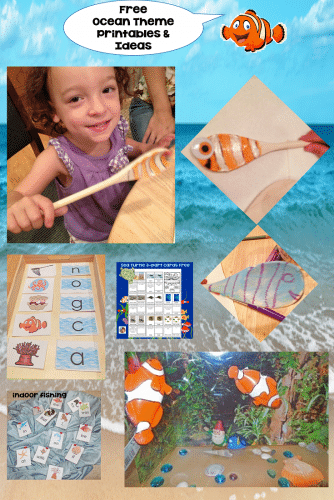 We have had a busy and fun summer learning about sea turtles, fishing for the alphabet, writing about dolphins, exploring shells, and making Cartesian divers, and more. Click the buttons to find the informational blog posts and free printables. 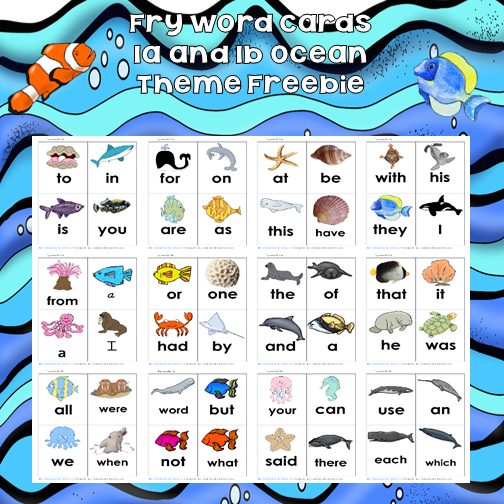 FREE Fry words levels 1a and 1b printable and activity for emergent readers at the blog post. 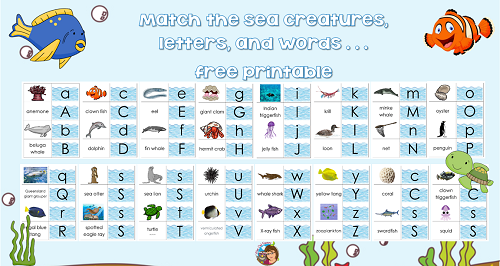 An ocean ABCs, sea creatures, and names of sea creatures free printable is available at the blog post. 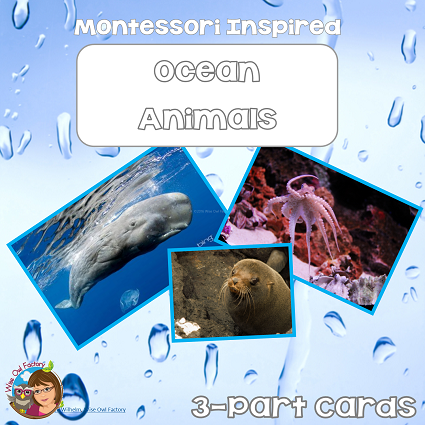 Ocean animal free 3-part cards printable is on the blog post. 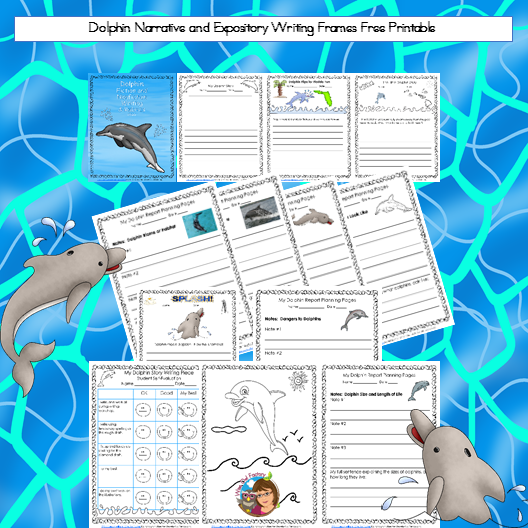 The next post has a free dolphin fiction and nonfiction (narrative and expository) writing frames printable with rubrics, and an ocean craft idea. Here is a picture of the craft we made using wooden spoons and paint. It was so much fun! Are you feeling drenched yet? 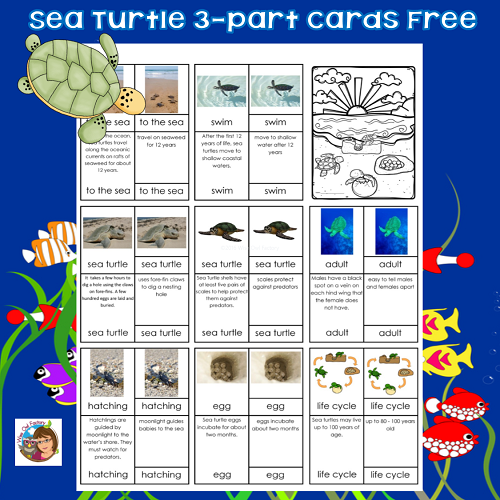 The sea turtle 3-part cards helped us understand the life cycle of the sea turtle. You can probably tell what movies we were watching lately! 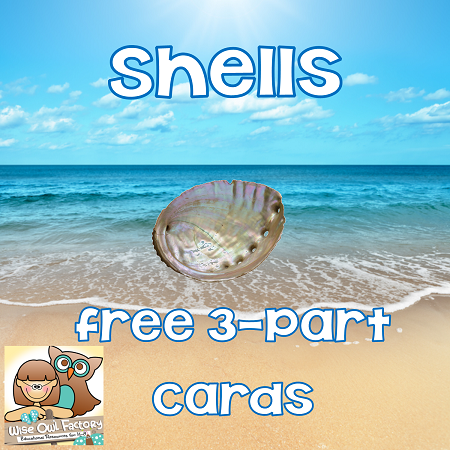 The next post has two printables about shells. First, 3 part cards which is actually on the password protected member page which is also free and this page has more information about joining our site. 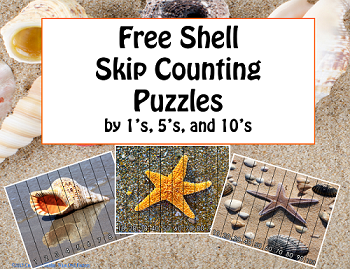 Skip counting puzzles are also fun yet educational, and these have beautiful photos of shells. The Old Lady Who Swallowed a Trout book has sea creatures, also, and the printable is found at this link. 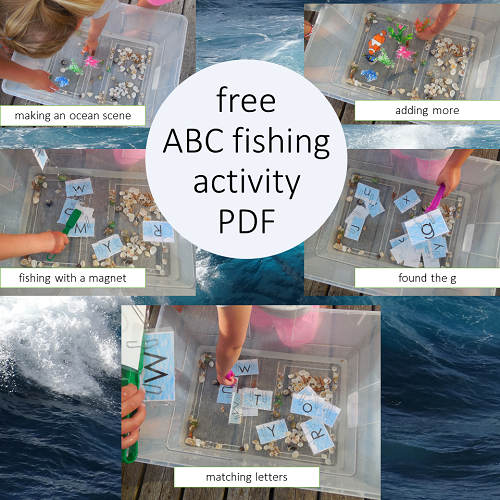 Fishing for letters, words, and pictures of sea creatures is engaging to help reinforce learning. The post explains the activity. 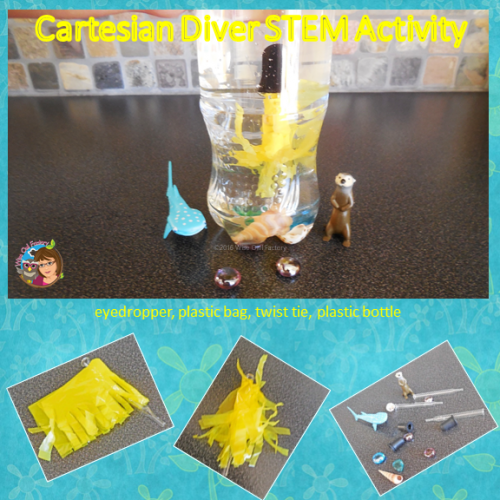 Finally, we tried out different versions of Cartesian divers which was very interesting. The information about how to make these might give you some ideas to try, as well. 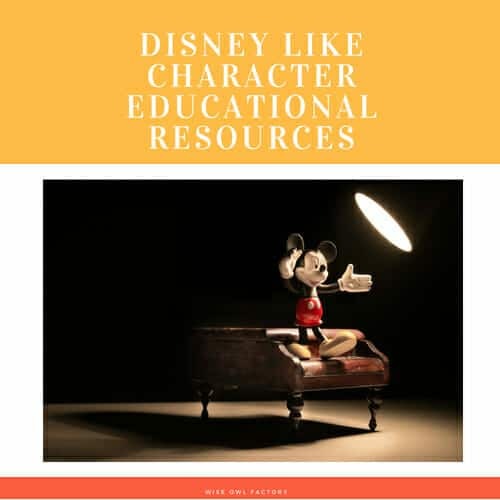 You might also like these links to “Disney-like” posts.